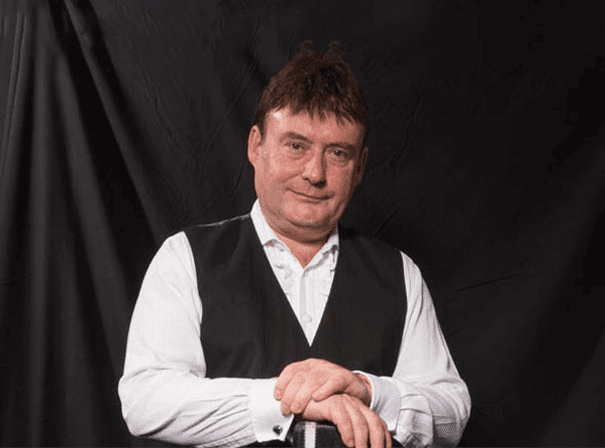 Internationally acclaimed Billiards star Jimmy White was one of the best professional players of his generation. He is now still very much associated with the sport and adds real value to any sports dinner, can deliver engaging speeches and play showcases matches in front of any audience. In his career, Jimmy picked up may titles and was World Championship Runner Up (1984, 1990, 91, 92, 93, 94), Mercantile Credit Classic champion (1986, 1991), Grand Prix winner (1986, 1992), Brit-ish Open champion (1987, 1992) and many others besides. Nicknamed The Whirlwind for his speedy approach to the game as well as his great showmanship and flamboyant style, Jimmy won 23 titles in all and on top of this has been runner up in the World Championship many times. Even as an amateur he was a hot property and won the 1979 champi-onship before wining the Pot Black tournament in 1986. With a fluid and aggressive attacking style, Jimmy became a big favourite with fans of the game and remains popular to this day. He won more than £4 million in his career and after leaving the game behind has been on TV many times on Big Break, the 9th series of I’m a Celebrity…Get Me Out of Here and has endorsed four com-puter games: Jimmy White’s ‘Whirlwind’ Billiards, Jimmy White’s 2: Cueball, Jimmy White’s Cue-ball World and Pool Paradise. As such Jimmy White is a great ambassador for the sport and is still hugely in demand to talk about the game.